Mega Man 2.5D is Finally Done! Play it Now! After eight long years, Mega Man 2.5D is now a fully playable game. No more teaser trailers, no more demos. This is it. Download it here! For the uninitiated, Mega Man 2.5D is exactly what it sounds like: classic NES action on a 2D/3D plane. Play it solo or team up with a buddy for a fully-fledged co-op mode. 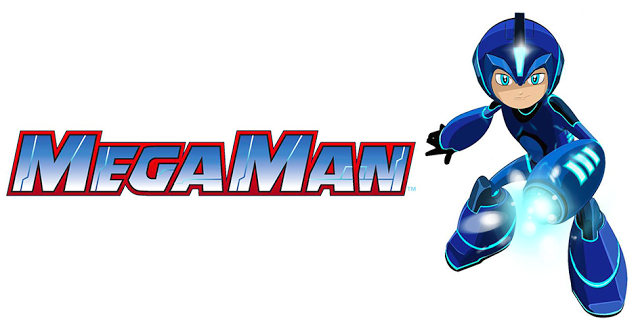 This is the co-op Mega Man game you've always dreamed of... and then some! A huge congratulations to Peter Sjostrand and his team on a successful launch. 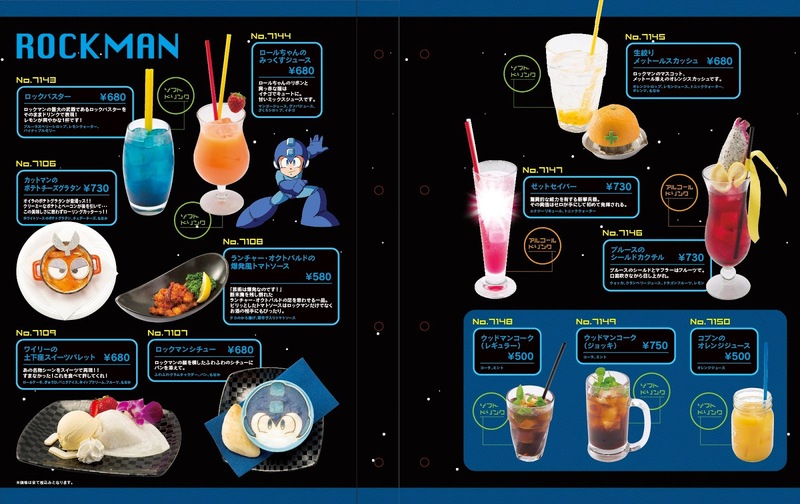 Mega Man 2.5D has been a long time coming, but I know it's been worth the wait. Enjoy, everyone! Rockman Corner reader and local cool person _skycompass has begun translating the recently published Rockman X novelization into English. You can follow the project's progress at this Google Doc here. At present, only the character bios and prologue chapter have been translated. Plenty of work lies ahead, so don't expect this to be finished any time soon. _skycompass has asked me to put the word out for collaborators, too. Anyone willing to help translate, edit or polish the book should get in touch with her via Twitter. With a few more heads maybe we can get this out the door sooner than later! Either way it's great to see someone jumping on this so soon. 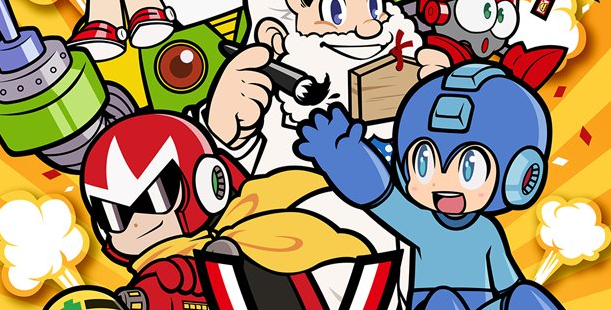 Not to be confused with Mega Mini, a bite-sized Mega Man figure will soon be available via Funko's new "Retro Video Game Mystery Minis." It even comes in a nifty arcade cabinet-shaped box. It's a little unusual to see Mega Man associated with mostly arcade characters; then again, these guys were on the NES in some shape or form, too. The figures are slated to launch later this March. The 2008 mobile port of Rockman 1 is a noteworthy addition in a long line of ports for its unique feature to play the entire game as Roll. For one reason or another, this feature was dummied-out of the recent iOS/Android port. It remains to be seen if she'll be added in a future update. Until then, here's our best look yet at a Roll run from the 2008 version. Do you remember the 2007 Japanese indie gem Rosenkreuzstilette? You know, the one that was basically a love-letter to Mega Man and 8/16-bit retrogaming in general? Well, get ready to gear up: the game is receiving a modern publication on Steam and Playism on February 3. If you ever wanted to check out Archie Comics' Mega Man series or grab issues you've missed out on, there's no time like the present. ComiXology is having a line-wide sale on Archie Comics digital titles, Mega Man included. Simply use the code "ARCHIE" at checkout to take 50% off your order. The sale includes the eight trade paperbacks ($6 a piece with discount applied) and individual issues ($1 a piece with discount applied). That's a pretty damn good deal if you ask me. There's no telling if the results of the sale will help sway Archie into reviving the Mega Man comics. It couldn't hurt to try though, no? UPDATE (January 23rd): At the request of Film Roman LLC, the clip and subsequent screenshots have been removed from Rockman Corner. I would like to apologize for any inconvenience this may have caused. Thanks for your understanding! What better way to celebrate Rockman EXE's 15th anniversary than creepy bath towels? 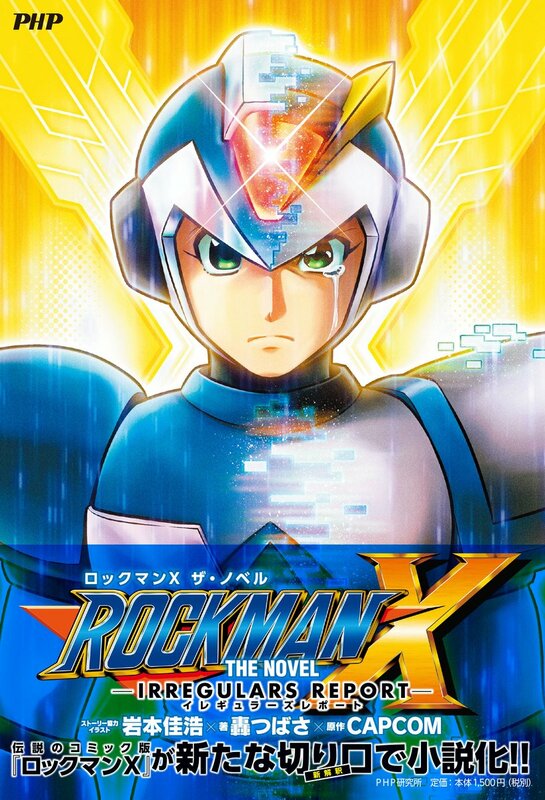 I don't believe this was the twist Iwamoto was referring to, but according to the recently added product description on Rockman X: The Novels Amazon page, the book's plot is reportedly an adaptation of Iwamoto's X1 manga. By adhering to Iwamoto's 1994 adaptation, we can expect to see manga-exclusive characters and events in novelized form. 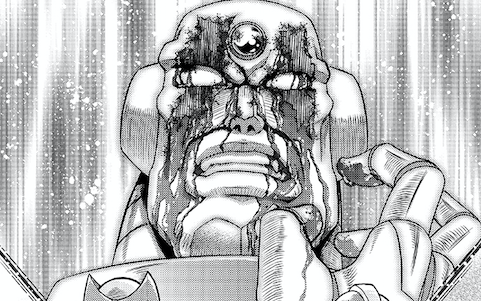 For example, the opening moments of the manga throw readers in the midst of Sigma's uprising. Here, X finds himself at a moral impasse with an Irregular called Pierrot. X is unable to bring himself to off a member of his own kind, so Zero does the deed for him. 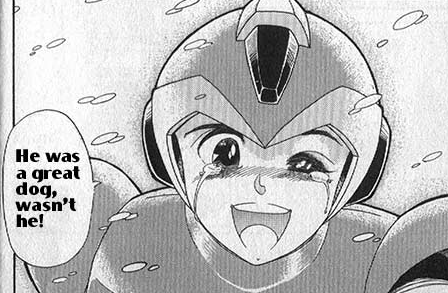 A few pages later, X, to Zero's surprise, elicits an emotional response to a dog killed in combat: he's actually crying. These early moments lay the foundation for X's character arc; the struggle of being a robot with human feelings. There are currently no plans for an English language version of Rockman X: The Novels. I don't doubt, however, the possibility of someone taking up a fan-translation down the line. In the meantime you should check out Dr. Neko and Ayami Zero's X manga scanlation project if you haven't already. An oldie but a goodie! By way of Major Nelson, both Mega Man 9 and Mega Man 10 have been added to Xbox One Backwards Compatibility. This means if you previously downloaded the pair on Xbox 360 you can now enjoy them on your Xbox One. What's more, your old save files and DLC can be transferred to your Xbox One via the cloud. And with that out of the way, let's get these guys on PC and PlayStation 4. Thank you! It's here! Feast your eyes on the cover art for Rockman X The Novel: Irregulars Report. 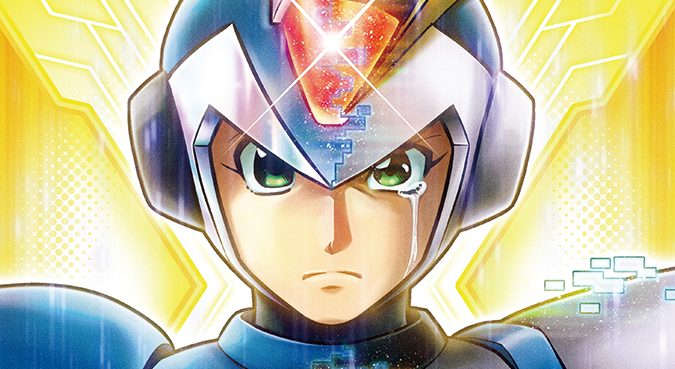 Due on January 25th, the book is a retelling of the events of X1 written by Todoroki Tsubasa and illustrated by Rockman X manga artist Yoshihiro Iwamoto. Pre-orders are available from Amazon Japan. On Twitter, Iwamoto previously implied this is not a simple retelling; there seems to be some kind of twist. Perhaps it has to do with the POV? It won't be long before we find out! Yeah, we've shared some of these upcoming Hobby Rock garage kits and figures before. Thing is, they're looking better than ever. Starting today you can grab all six of those lovely Mega Man mobile ports in one fell swoop. 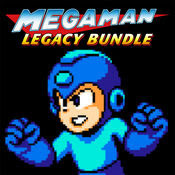 The "Mega Man Legacy Bundle" runs for a reduced price of $9.99, iOS only. I don't recommend it... but if you're so inclined, grab it here. It's been six months since Mighty No. 9's launch and there's still no sign of the remaining physical backer rewards. The art book, NES/Famicom cartridge USB drives, printed game manuals and signed sketches remain missing in action. Sadly, Comcept haven't said a word on the issue - not a peep. You can e-mail them, you can tweet them, you can shout from the rooftops... and you'll still get nothing. Two wallpapers in one month? Okay then! 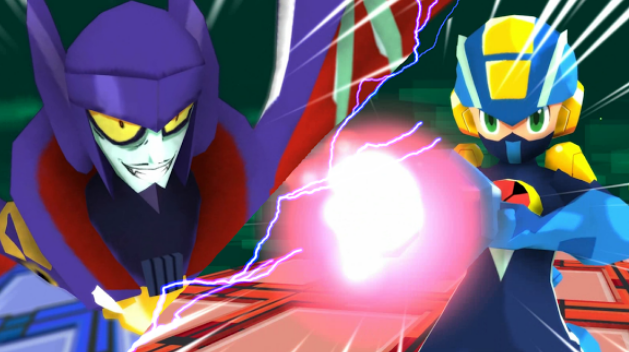 In the spirit of official Mega Man Battle Network/Boktai crossovers of yore, fan projects Mega Man Battle Network 3D and the Boktai-inspired are Kura5 teaming up for a ghoulish collaboration. 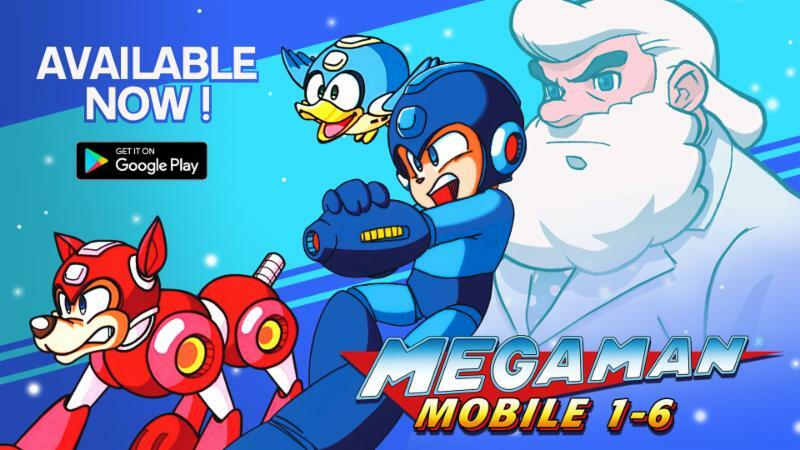 It's no secret Mega Man Mobile 1-6 are a mess. What isn't widely known though is why. 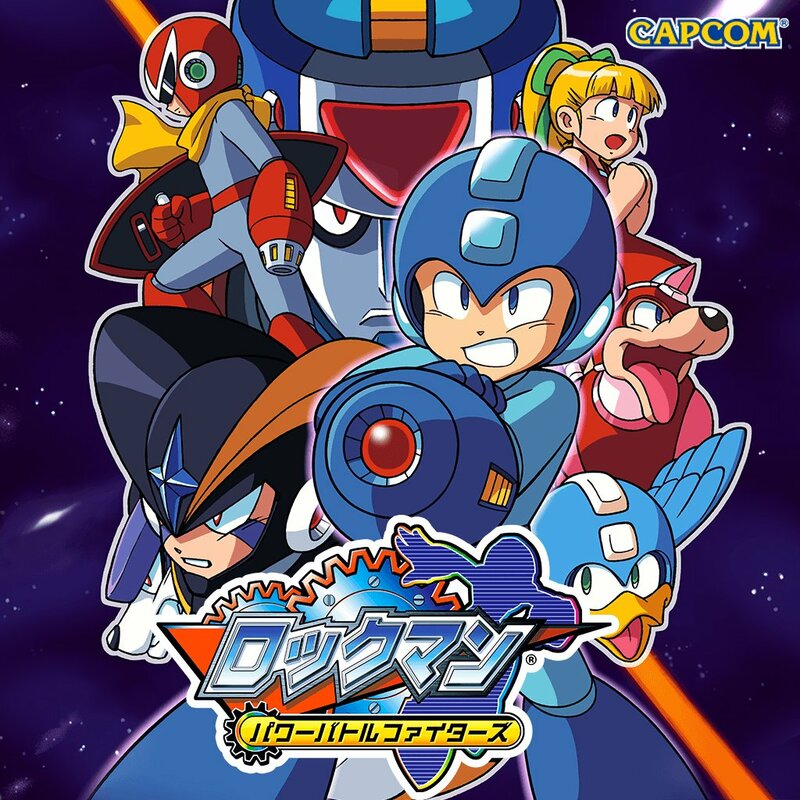 Need more evidence Mega Man Mobile is based on the 2008 Rockman mobile port? Look no further: Roll's "playable" sprites are actually hidden in the game's graphic data! Playing as Roll was the defining feature of the 2008 version (gameplay here). Even though Roll's sprites are technically in Mega Man Mobile, this feature is absent from the newly launched port. Sadly there's no telling if she'll be added in a future update. It's hard to say if we're looking at cut content or something intended for future use. Only time will tell! 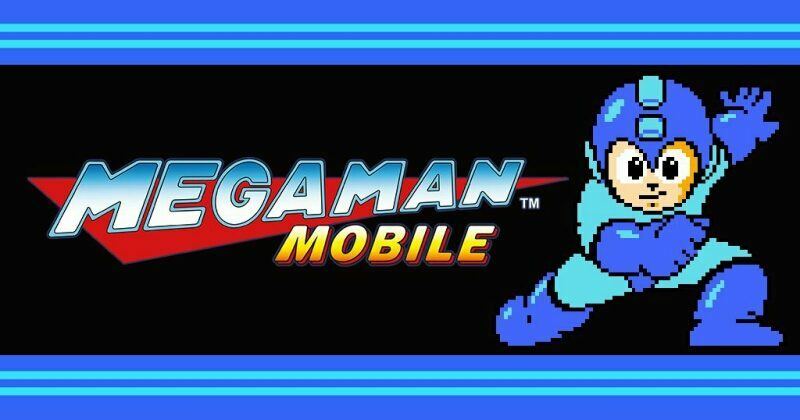 All six classic NES Mega Man games are now available on Android and iOS. They'll set you back $1.99 a piece. Hit the jump below for download links! 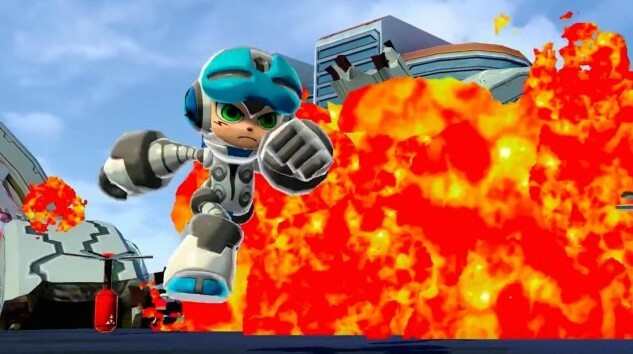 Capcom Mobile just rolled out 30-second clips of all six Mega Man ports heading to iOS and Android tomorrow. Unfortunately our framerate fears remain valid as, according to Capcom, "each game has been optimized for the mobile devices with adjustments to game speed." You can see what that looks like after the jump! 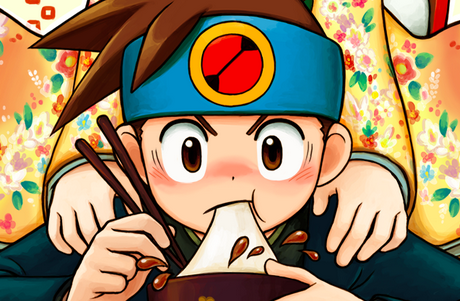 A new mobile wallpaper has become available via the Rockman Unity app. 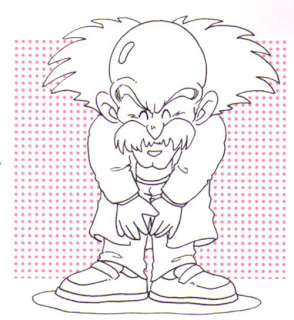 Capcom's Yuri Kataiwa is the artist behind this one. His credits include Ghost Trick and Marvel vs. Capcom 3! Three sizes are available to download - take your pick: 1080x1920, 750x1334 and 640x960. FYI, a new mobile wallpaper will be offered each month. If you missed out on December's piece - which was really, really great - you can grab it here! I'll be sure to offer new wallpapers on the blog as they come. Let's kick 2017 off with something I've been hoping to see come to light for many years. 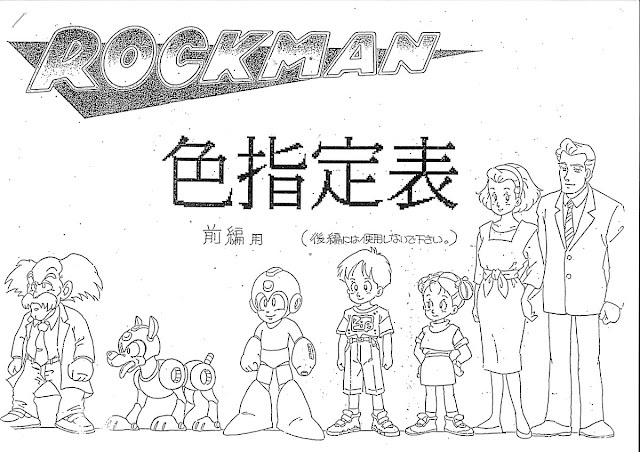 My pal Rock Miyabi just uploaded a complete set of Rockman: Upon A Star production art on his blog. These materials offer a rare glimpse into the creation of the 1993 OVA and, more specifically, the 2nd episode. The materials have been split up into four posts: part 1, part 2, part 3 and part 4. Each sheet features character and object designs along with individual color specifications. Hit up those links and check 'em out! There's some really neat stuff to behold. My personal favorite? 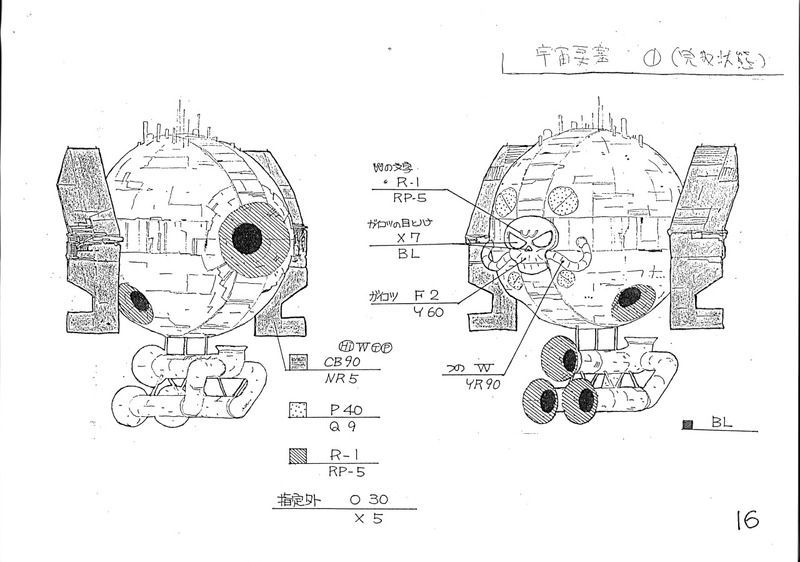 The Wily Death Star!